In fact, over the same 15 month period (June 2015 – Sept 2016), the platform’s paying subscriber count has doubled – from 20m to 40m. And of those 40m, over 10m have been added this calendar year alone. 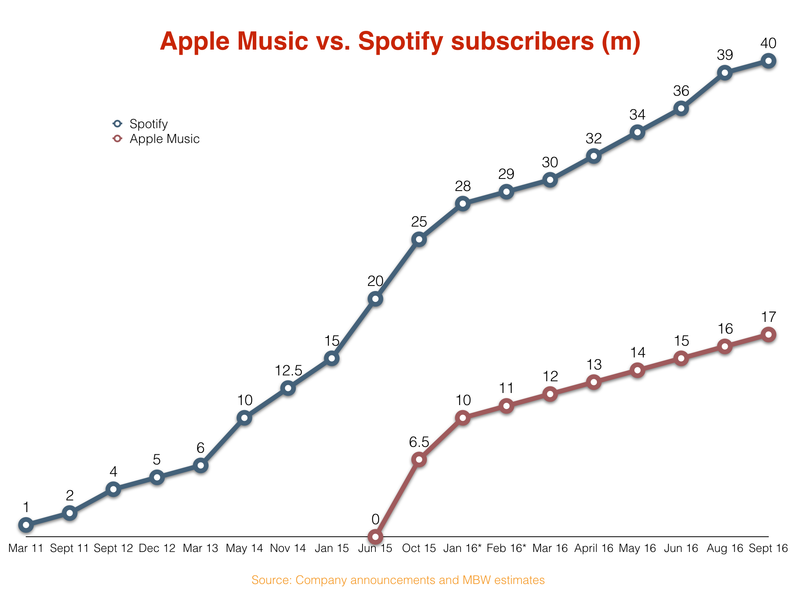 Spotify announced last summer that it had paid the music business $300m in the first three month of 2015. Even by the conservative $133.3m-per-month estimate above, its average monthly payout has grown by more than a third within a year. The question for rights-holders now: will it keep it up? Spotify is out of contract with all three major music companies, and is believed to be trying to negotiate down the 55% revenue share it currently hands over to recorded music copyright owners.